PRINCESS ANNE, Md. 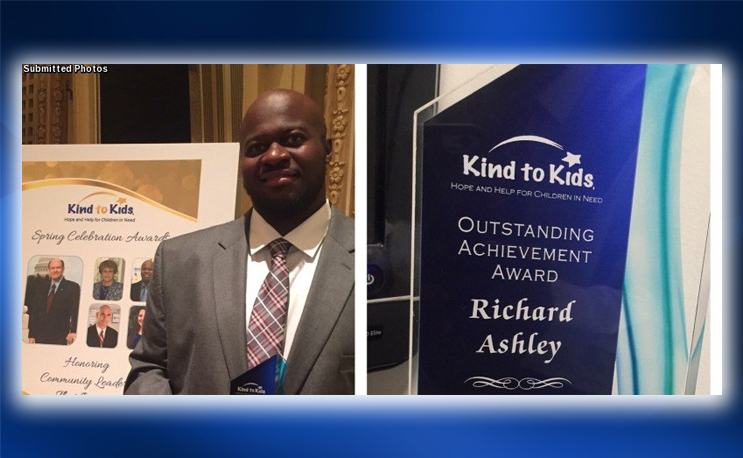 – Last month, former Maryland Eastern Shore Women’s Basketball graduate assistant coach Richard Ashley received the Kind to Kids Outstanding Achievement Award for his dedication, courage, and leadership to provide inspiration to kids in need. The ceremony took place in Wilmington, Delaware. For the past two years, Ashley has served as a Life Skills Instructor where he teaches life lessons to high school adolescents in a 10-week course. The class meets once a week to discuss numerous topics. Ashley, also known to the Hawk family as “Magic,” spent seven seasons under Coach Fred Batchelor in various capacities. In 2008, the New Castle, Delaware native earned his degree from Maryland Eastern Shore. Coach Batchelor and the women’s basketball program were very proud of Magic’s achievement. From 2006-08, Ashley joined the staff as a student assistant and a strength and conditioning assistant coach before becoming the team’s graduate assistant. Since Maryland Eastern Shore, Ashley has coached at Delaware Tech-Stanton and Salem Community College where he assisted both programs to postseason play. For more than five years, Kind to Kids has served over 10,000 children in foster care and poverty. Each day, children who are victims of child abuse and neglect enter the foster care system. Kind to Kids is working to get educational programs, support services and supplies to the children to help them through these difficult times in their young lives. The organization helps the 700 children in Delaware’s foster care system, 50,000 children in poverty and at-risk teens. To learn more about Kind to Kids, please visit their website www.kindtokids.org.